Vox Air enables multi-point conferencing without expensive infrastructure requirements by taking video conferencing (VC) into the cloud. Remove the need for costly and fiddly bridge equipment with this browser-based tool so you can conference with anyone in the world. Yes, Vox Air lets users tap into any “standards-based” conferencing system directly in your browser, effectively quashing compatibility and interoperability concerns. Not only that, but this service can combine audio-only, desktop video, and room-based video systems in a single VC meeting. Vox Air is available on an ad hoc basis and all year round – so your team can conference as and when you need to. Enjoy the beauty of real simplicity: Vox Air for web browsers doesn’t require any downloads and is wholly plugin-free, so tablets, smartphones and other devices connect seamlessly. 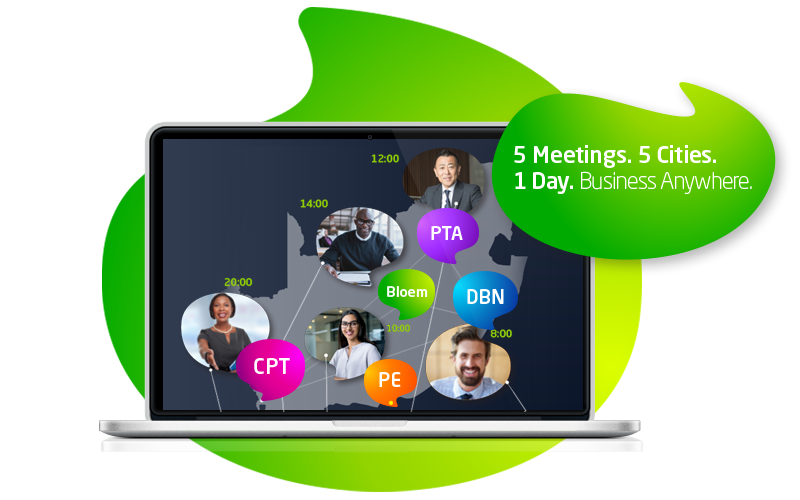 Multiple users can join conferences by dialing into a virtual meeting room number, as you would on an ordinary phone. Calls are placed over IP or SIP. An affordable monthly subscription gives access to a quality solution at a fraction of the cost of traditional VC tools and means no capital outlay weighing heavily in your “capex” column. This service is vendor-independent, allows for conference recording, and is capable of one-to-one connectivity (over IP) for users outside your company network. Does Vox Air support Chrome browser? Yes. It supports Chrome, Internet Explorer and many more. Only one license is required for your entire platform and there is an unlimited number of people who can join. Is it easy to start a call? Make outbound point-to-point calls through the platform by simply entering the address of the person you want to call. Yes. Vox Air utilises 128 bit AES encryption together with pin code locked virtual meeting rooms.